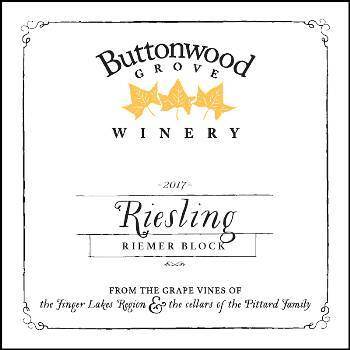 Planted in 1999 on an eastward facing slope directly in front of the tasting room, the Riemer Block contains 3.5 acres of premium Riesling grapes. Our most award-winning wines to date have come from this vineyard, including our 2017 Governor's Cup winning Riesling. From Anonymous of NORTH ATTLEBORO, Massachusetts on 8/13/2018 . From Tom of Auburn, New York on 6/5/2018 . I stopped in and tried this the first day it was released - really fun to be one of the first people to try it, and it was great! Really clean, with lots of fruit flavors.